When professional educators are engaged in ways to improve student achievement, staff morale, and equity and advocacy, we leave learning sessions with a newfound enthusiasm. 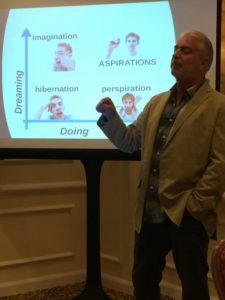 I recently attended the Corwin 2015 Author Retreat, where over 100 influential thought leaders came together for two days of learning. These educators capture the urgency of our professional and moral imperatives to transform and enhance our educational system. 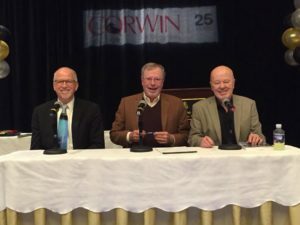 The goals for the retreat were certainly met, as attendees were provided learning opportunities that share Corwin’s evolution from a publisher to a full service provider. Consultants realized how valuable they are to the Corwin organization by participating in additional learning experiences that allow participants to grow in the art of creating and delivering presentations, and in successful practices in the education industry. I was not able to attend every session and it was difficult to decide which breakouts to visit. The overall offering of professional learning opportunities exceeded my own expectations. I did, however attend four sessions that inspired me. In their book, Student Voice: The Instrument of Change, Dr. Russ Quaglia and Dr. Michael Corso state that when students have a voice, they are meaningfully engaged in the decision-making and improvement-related processes in their schools. I attended Dr. Quaglia’s session and I was impressed with his commitment to share the truth of what students think about school with educators who want to make a difference. Despite the challenges in today’s schools, Dr. Quaglia reminds us that students and teachers are learners together, where adults do things with students—not at, to, or for them. In a world where students are over-tested and under assessed, Larry Ainsworth has continued to stress the importance of formative evaluation and assessment. In his new book, Common Formative Assessments 2.0, Ainsworth stresses the importance of intentionally aligned components, like standards, instruction, and assessment. Having attended a four-day certification process to deliver this work, I understand fully his dedication to assist educators with the creation of valid and aligned assessment. When Mr. Ainsworth speaks, he is able to articulate the need and purpose of assessment while motivating others to follow a design process that incorporates assessment as feedback. Kristin Anderson, Corwin’s Director of Professional Learning, provided consultants with powerful presentation strategies that improve client experiences. Her practical, engaging style of delivery makes it easy for participants to replicate strategies that build rapport with audiences. Ms. Anderson helped session attendees understand the importance of credibility and how we can establish that credibility through content expertise, core beliefs, and professionalism. Any session with Kristin means that you will be treated to the element of surprise, a strategy she highly recommends. Corwin’s partnership with Cognition Education and Professor John Hattie have reshaped how we think about professional learning. Even more exciting is Corwin Australia, the expansion we are all excited to learn more about. President of Corwin, Mike Soules, presented the initial implementation cycle to continue the ground breaking Visible Learning research. Identifying what works best for students has reached a tipping point in global education. Instead of reinventing schools, Visible Learning redefines school improvement through evidence. 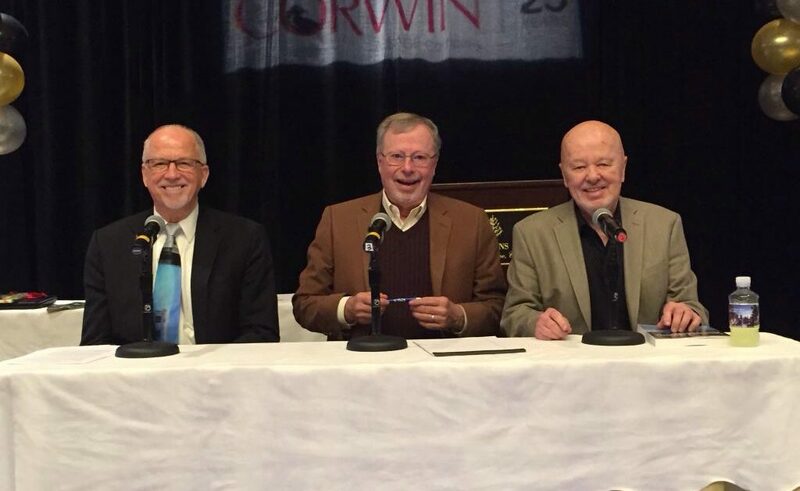 The Corwin 2015 Author Retreat was an incredible experience. With an innovation based theme, Corwin is moving forward through the delivery and creation of quality professional learning.